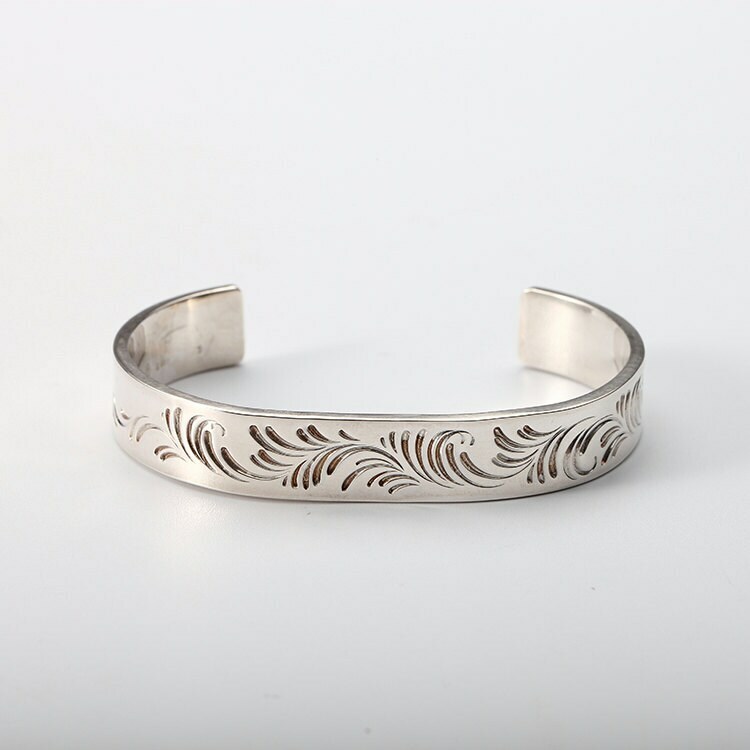 The arabesque bracelet features a richly carved pattern on an open silver bangle. 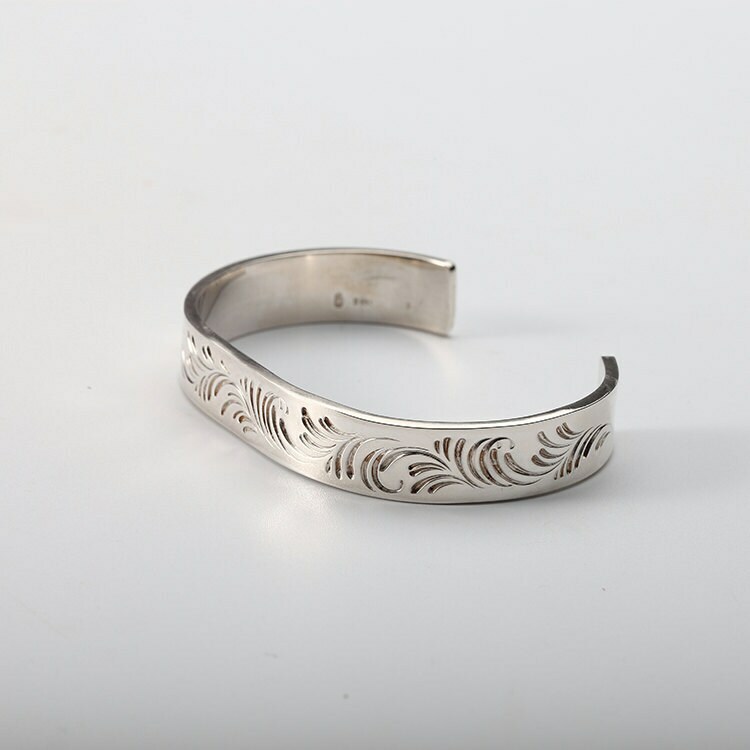 Crafting an arabesque pattern on the silver bangle is a top skill. 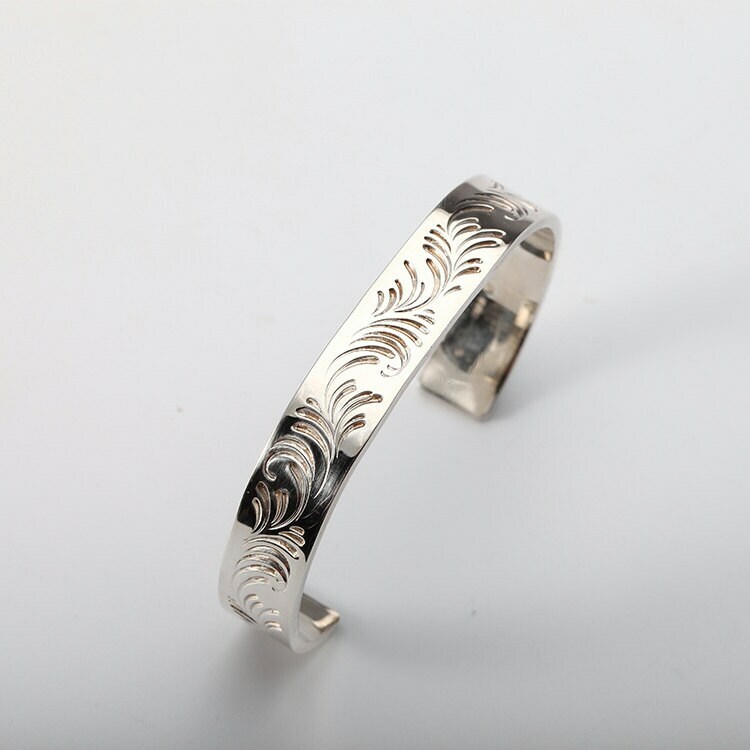 It takes more than 10 different tools to carve the pattern on the silver, and a high level of aesthetic and artistic skill. It also takes tremendous focus and concentration - even a small mistake can mess up the piece. This may be the reason why arabesque carving is said to represent the soul of the artist! 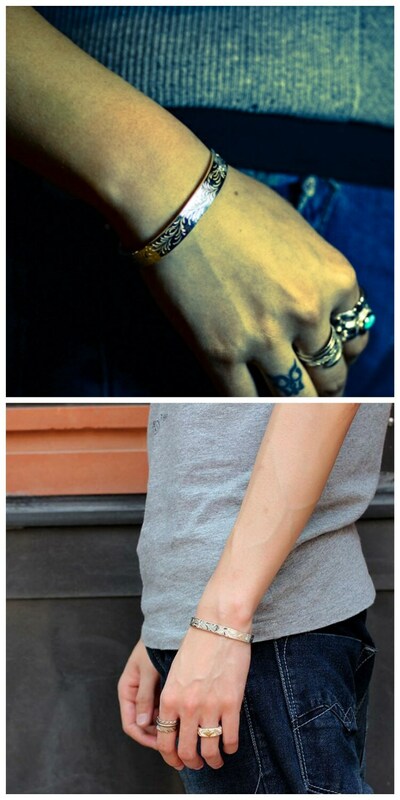 Please note that each piece is 100% handcrafted, each piece is exclusive and unique. So the design that you get may differ slightly from the product image.